Bayer Leverkusen vs RB Leipzig predictions for this weekend’s German Bundesliga. Can Leipzig continue their winning streak when they travel to the BayArena to face Leverkusen on Saturday? Read on for our free betting tips and match preview. Bayer Leverkusen were left deflated after a 4-1 defeat to Hoffenheim last Friday derailed their push for a place in Europe next season, but having beaten in-form RB Leipzig by the same scoreline at home this time last year, Peter Bosz’s men won’t write this one off just yet. 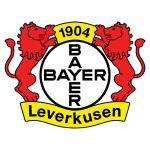 On their day, Leverkusen can be an absolute force to be reckoned with – they recently had a spell of six wins from seven, which included a 3-1 win over Bayern Munich, losing only to league leaders Borussia Dortmund – but some recent results show there are defensive issues to resolve. This doesn’t bode well against a Leipzig side that are not only looking to hone in on a return to the Champions League, but also seem to have found their trademark punch last weekend too. Ralf Rangnick’s men ended their run of four games without scoring multiple goals with a massive 5-0 win at home to Hertha Berlin, meaning they’re unbeaten in ten across all competitions (W7 D3) going into Saturday’s game against Leverkusen. Such a run has put Leipzig five points inside the top four, and a win here would all but secure them Europe next season. And backing the visitors ‘Draw No Bet’ – that is, if Leipzig win, the bet wins, but if the match ends in a draw, the bet is refunded – looks a good option here. Leipzig’s attacking record combined with Leverkusen’s lack of defensive form creates the perfect storm. The Red Bulls have conceded a league-low three goals in 2019 too, so it will be very tough for Leverkusen’s hit or miss attack to do too much damage. 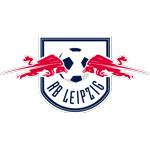 Leipzig, meanwhile, should be able to maintain their two-goal per game average against a defence that has conceded two goals or more in four of their last five Bundesliga outings. Danish forward Yussuf Poulsen is the player to keep an eye on going forward. He is Leipzig’s top scorer with 15 goals so far this season – four short of the Bundesliga’s leading scorer Robert Lewandowski – and he not only scored a hat-trick last weekend but has also bagged four goals over the Red Bulls’ last five away trips. He also scored twice in the 3-0 home meeting against Leverkusen earlier this season – a result that means they’ve lost just one of their five total meetings against Leverkusen. All signs point towards more from them on Saturday. Our prediction: 3-1 Leipzig. Bayer 04 Leverkusen have won just one of their Bundesliga matches against RB Leipzig (D1 L3): a 4-1 victory in Leipzig in April 2018. Against no other team have Leverkusen averaged as few points per Bundesliga game (0.8) or conceded as many goals per game (2) as they have against Leipzig. RB Leipzig have scored in all five of their BL games against Bayer 04 Leverkusen. Hertha are the only side they have scored against in each of their first six top-flight meetings. Bayer 04 Leverkusen have now lost back-to-back Bundesliga matches for the third time this season and for the first time under head coach Peter Bosz. This only happened once last season (MD31/32). Bayer 04 Leverkusen have conceded nine goals in their last three Bundesliga matches – more than in their nine previous games combined (8). Bayer 04 Leverkusen have lost five of their 13 home matches in the Bundesliga this season (W7 D1) – they last suffered more defeats in their opening 13 home games in 2002/03 (7; finished 15th). Leverkusen’s Julian Brandt has been involved in 10 goals in 10 Bundesliga games in 2019 (3 goals, 7 assists), matching his tally for the whole of 2018 (6 goals + 4 assists in 33 games). RB Leipzig are unbeaten in nine Bundesliga matches (W6 D3), keeping seven clean sheets and conceding just two goals in the process. RB Leipzig have conceded just three goals and kept seven clean sheets in their 10 Bundesliga matches in 2019 – only Borussia Dortmund have ever kept as many clean sheets in the opening 10 Rückrunde games (2015/16). RB Leipzig have won all five of their Bundesliga away games in 2019 – a new club record. RBL only won two of their eight away matches in the Hinrunde (D2, L4). Leipzig’s Yussuf Poulsen scored the first hat-trick in RB Leipzig’s Bundesliga history in the 5-0 victory over Hertha Berlin. He has scored at least two goals in six BL matches this season – a league high.